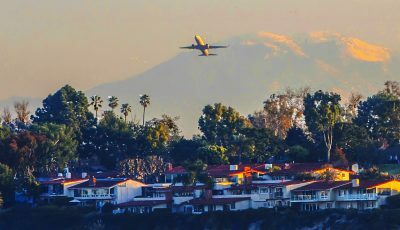 Newport Beach residents who live close to our bay and ocean enjoy incredibly beautiful neighborhoods and spectacular views, but they also have to endure the noise and pollution from airplanes flying out of John Wayne Airport. From the first time Orange County Supervisors introduced the idea of commercial flights from the former small airfield limited to private planes, local concerned citizens complained and initiated efforts to prevent the airfield from becoming a commercial airport. Some Newport Beach residents who lived close to the airport site were furious. A group of Newport women, who were particularly outraged, planned to lie on the tarmac arm in arm to prevent planes from departing. The Supervisors stopped their plans with the promiseto begin seeking an alternative site, a more appropriate one. When El Toro Air Base closed and vacated the property, County Supervisors found the perfect site – an answer to everyone’s concern. However, the city of Irvine and othersouthern Orange County cities waged war against the Supervisor’s plan and won. Irvine ended up with the large piece of property where they promised to build a “GreatPark.” That was 15 years ago; to date, the Great Park has not materialized. The battle to keep JWA from further expansion has been a struggle. The Newport Beach City Council, County Supervisors, and SPON developed a Settlement Agreement that was accepted by the FAA. JWA is one of the few airports in the country to have such a contract. This offers specific protections for impacted residents, such as limiting the number of flights per day, placing noise restriction levels on planes, and a curfew that prevents commercial airlines from flying between 10 p.m. and 7 a.m.
JWA has a “hot line” citizens can call to report any suspected violations of rules regarding commercial planes, such as those flying too low, planes that sound significantly louder than usual, or a curfew violation. It is helpful to provide as much information possible regarding the plane in question, such as exact time of the flight, identification of the specific carrier, the plane’s identification number, and any other specific information to help JWA representatives identify the offender. 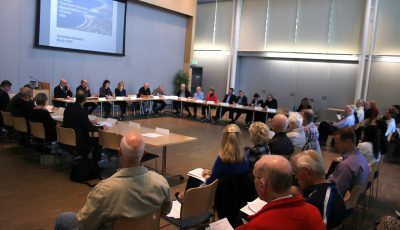 Citizen groups such as AirFair, AWG, SPON, and the Newport Beach Aviation Citizens Committee have worked to ensure all rules and regulations are followed. As a current Board member of AirFair, I invite all who are interested in airport issues to attend our meetings and join us in our efforts to keep Newport Beach as one of the most desirable places to live in the World. jwairfair.com. For the disaster that is the “Great Park,” you can thank Larry Agran, a long-term unemployed attorney who has thousands of faithful followers attending and teaching at UCI. I have been fighting virtually everything Larry Agran has done or tried to do for the 40 years I have lived in Irvine. The El Toro International Airport was defeated ONLY after three public elections, the first two of which failed. The “Great (sic) Park” was to be everything for everybody. Larry proposed “a world class museum,” and “a world class university,” not to mention countless other wishful thoughts. 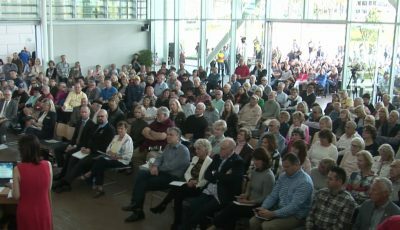 Larry and Company blew over $200,000 tax dollars just on plans, and said on the Great Park website that it would be built and maintained with private funds. The international airport was “unwanted and unneeded” and traffic at John Wayne Airport has increased ever since. Tens of thousands of us must commute to LAX for international flights, or lower domestic fares. Larry and NIMBYs could care less about increasing the traffic across two counties and increasing the gasoline consumption to make the hundreds of thousands of trips. Larry is one of those who never pays a price for being wrong, and this selfish bit of NIMBYism, this “Great (sic) Park,” built on relentless dishonesty and fear-mongering, is his worst mistake of all, and by a very great margin.